Robotic learning consists of five pivotal areas: construct, control, interact, kinetic energy and artificial intelligence. Robotic learning is rich with multidisciplinary principles and is a hands-on way of developing students’ critical STEAM-related skills such as problem solving, critical thinking, computational thinking, design thinking, collaboration, communication and most importantly curiosity and imagination. Honing these skills is essential for students to prepare themselves for success in the future. 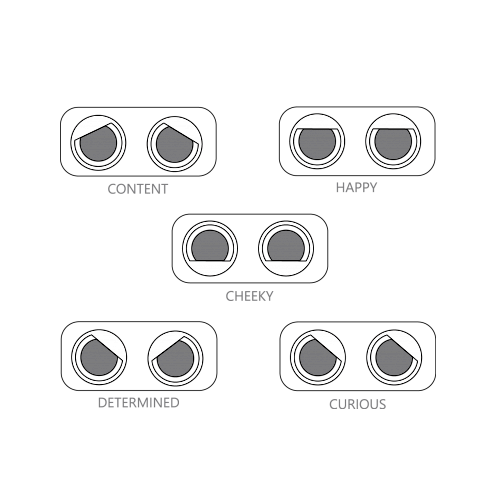 A framework built on the foundation of the Seven Survival Skills. Centred among the three key pillars is the CASE robotic curriculum. The curriculum is designed first with clear learning outcomes. The FlipRobot learning kit and software environment are engineered to deliver the curriculum. The professional development will make adoption and implementation of FlipRobot easy. 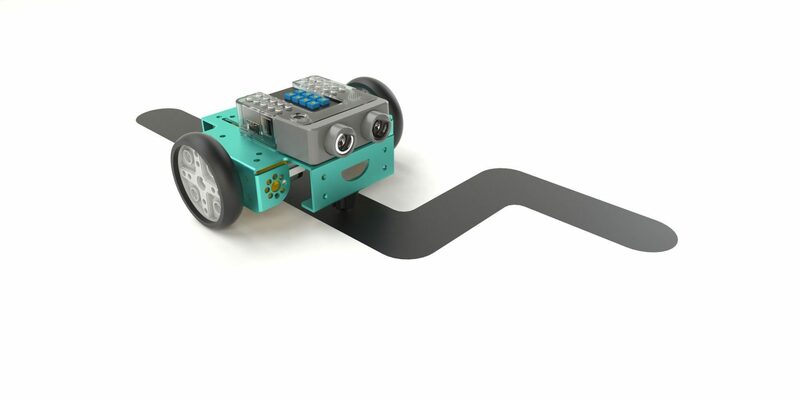 FlipRobot aims to deliver educators a comprehensive robotic STEAM learning solution. Through the interactive and engaging FlipRobot solution framework, students acquire and master critical STEAM skills to harness future success. The CASE robotic curriculum is designed with clear learning outcomes in mind. On each key topic, students will be introduced to the subject through contextual teaching and problem-based learning. The follow-on assembly, coding, and experiments provide students with the physical hands-on activities to hone their computational thinking, design thinking and inquiry-based learning. At the end of each topic, challenge activities and summative presentation will allow the educator to assess and evaluate the students’ learning outcomes. 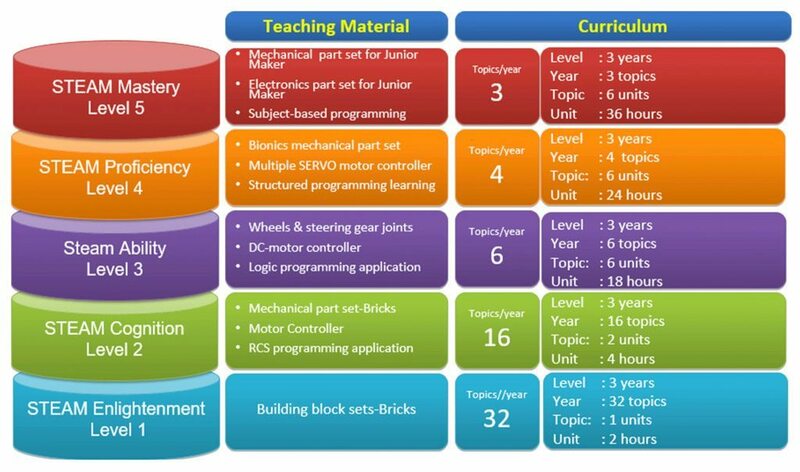 The CASE robotic curriculum covers the learning requirements from preschool-age to year 13 students. Respective teaching resources and program design are available for each topic and unit, to provide educators the baseline resource to adapt to their individual classroom requirements. Aimed to be global excellence and locally compliant, the CASE robotic curriculum aligns to NCEA (National Certificate of Educational Achievement) syllabus requirements. 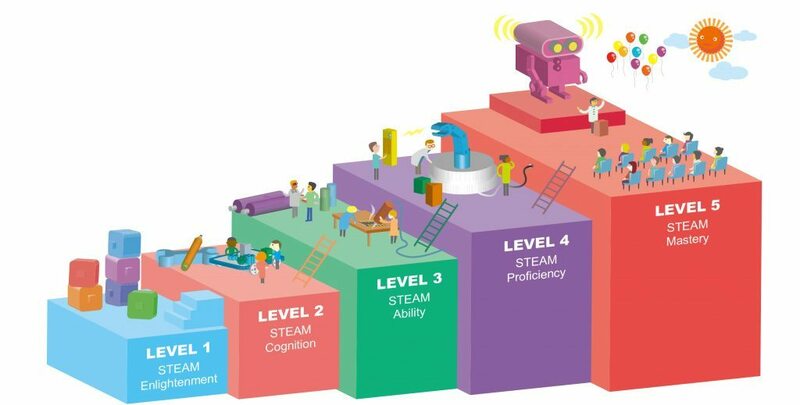 Ultimately, the CASE robotic curriculum aims to have students achieve the acquisition and mastery of STEAM skill sets. The CASE Robotic Curriculum is a University of California (UC) approved College Preparatory course. UC approval demonstrates the curriculum is of high academic standards, to prepare students for university-level studies. Educators are assured that through independent evaluation the CASE Robotic Curriculum delivers content to rigorous internationally-recognized standards. Actura is proud to be the exclusive global partner of CASE to market and promote the CASE Robotic Curriculum. Innovatively designed to deliver CASE robotic curriculum requirements. 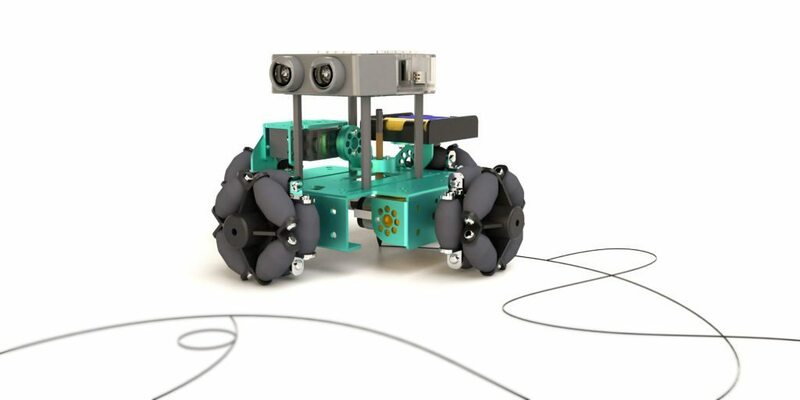 FlipRobot aims to deliver the goal of ‘one student, one robot’ so that each student has their individual robot companion throughout their robotic STEAM journey. FlipRobot offers a range of learning kits to cater for each level of the CASE robotic curriculum. 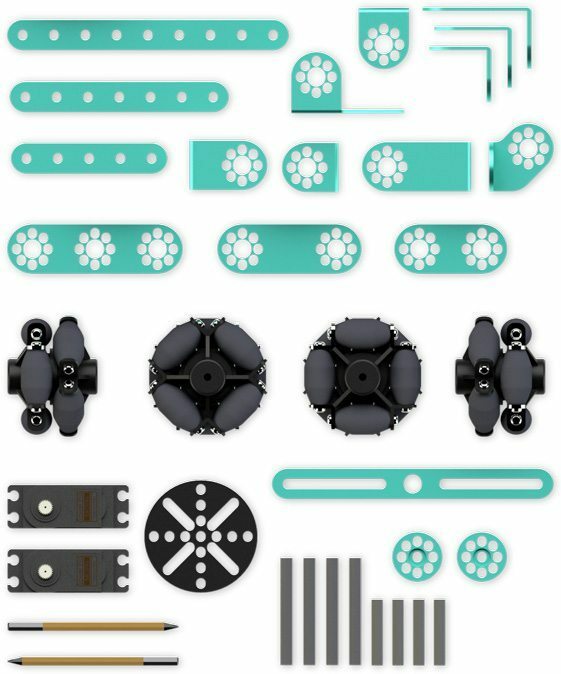 Intricately designed extension kits will expand the endless possibilities for each topic’s learning outcomes. Bring FlipRobot E300 to life with personalised expressions by rotating the FlipEye eyelids and create the best learning companion. Learn basic programming logic with E300, by adjusting the variable control board’s dials. Using a combination of the variable control-board and FlipCode programming environment, students can unleash and explore complex coding solutions. 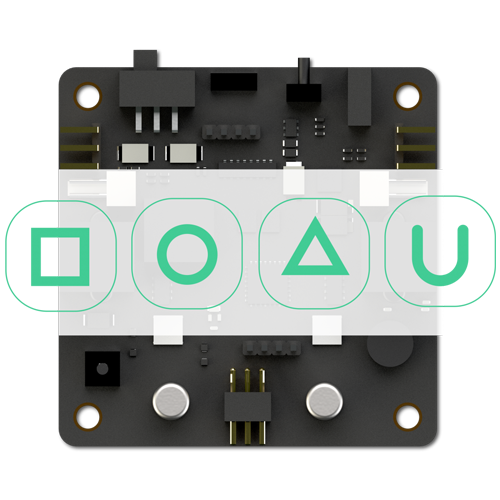 With an Arduino micro-controller at the core of FlipBrain, E300 is ready to perform and operate the intelligent codes written by students. 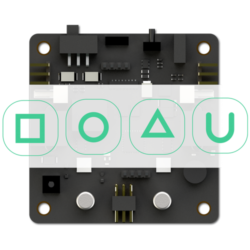 Inputs and outputs are clearly labelled, making it simple for students to accurately connect different wires and electronic modules. Sturdy aluminium chassis built to support rigorous creative projects. The patented square design ensures balance and versatility when further constructed with a wide range of available extension kits. 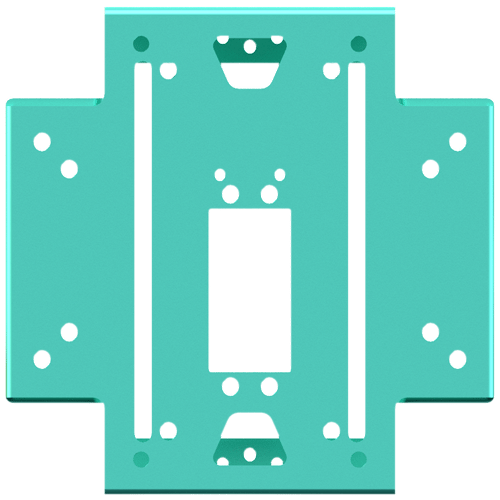 Industry standard holes enable FlipRobot to be used with open-market devices, accessories and parts for undertaking school competitions. Transform the E300 with multiple extension kits into various interesting applications and solve real life problems. FlipCloud is a cloud-based solution encompassing various innovative tools, the CASE robotic curriculum and knowledge base. A central platform to host necessary resources, FlipCloud facilitates the student and educator to easily access the required tools to advance their FlipRobot STEAM learning. 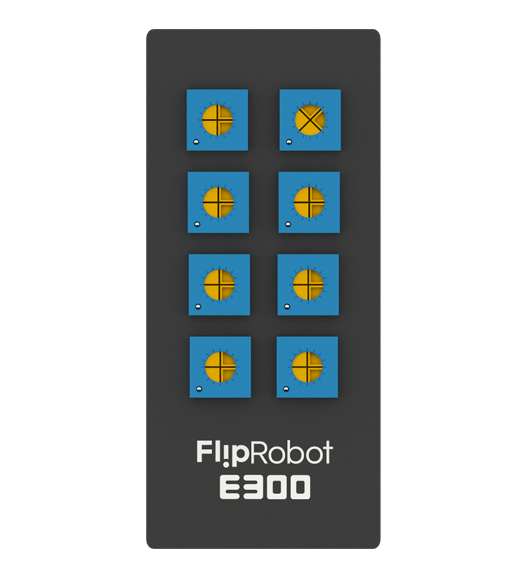 The FlipRobot learning solution includes a range of intuitive tools such as FlipCode, FlipRAS and FlipDuino. Students can use these tools to learn coding anytime anywhere through Chrome browser. The code-compiling work is completed on the cloud, so students won’t experience any compatibility issues. 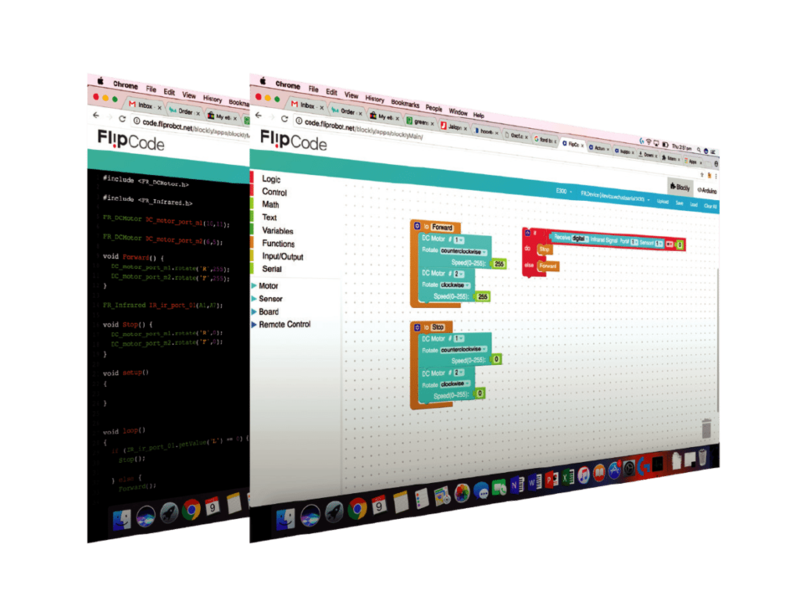 An easy-to-use graphical programming interface built on the BlocklyDuino platform, FlipCode’s drag-and-drop feature makes coding intuitive and simple. A library of commands provided in accordance with the CASE robotic curriculum makes coding interactive and fun. Knowledge Base is a rich knowledge centre where educators can access frequently asked questions to solve common queries. Educators can also conveniently access local support through Knowledge Base when implementing the CASE robotic curriculum. OneWorld Robotics Competition brings together schools from all over the globe. As an extension of in-class learning, OneWorld Robotics Competition challenges students to apply STEAM-related skills through robotics to solve real-world problems. The competition inspires students to develop critical-thinking and creative problem-solving skills, engage in collaborative teamwork and utilize effective communication, all critical to students’ future success. 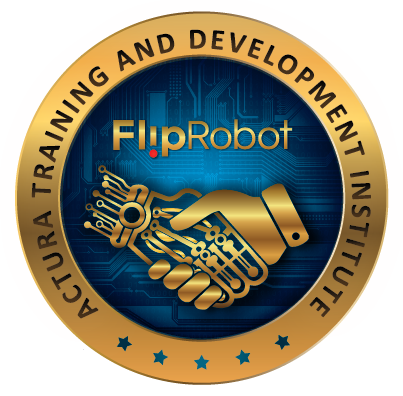 Introduced by the Actura Training and Development Institute, the FlipRobot Professional Development Program provides teachers with the necessary skills, knowledge and strategies to implement the comprehensive solution most effectively. The Professional Development course is accredited with state authorities, providing teachers with professional development hours helping to fulfill academic and accreditation requirements. To provide an innovative and comprehensive robotic STEAM learning solution requires the process of on-going refinement and optimization. It is a journey, not a destination. CASE Advisory School program aims to guide global cooperation within an inclusive group of innovative schools in the field of robotic learning. Through collaboration and knowledge sharing, CASE will be able to advance the design and development of the robotic curriculum. Furthermore, Actura will design and develop the complementing Robotic Learning Kit and software environment. 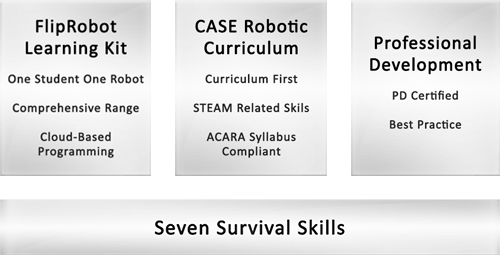 The CASE roboticcurriculum is designed with clear learning outcomes in mind. On each key topic, students will be introduced to the subject through contextual teaching and problem-based learning. The follow-on assembly, coding, and experiments provide students with the physical hands-on activities to hone their computational thinking, design thinking and inquiry-based learning. At the end of each topic, challenge activities and summative presentation will allow the educator to assess and evaluate the students’ learning outcomes. Knowledge Base is a rich knowledge center where educators can access frequently asked questions to solve common queries. Educators can also conveniently access local support through Knowledge Base when implementing the CASE robotic curriculum.